SureCall Fusion2Go-RV provides clear and consistent coverage for multiple cellular devices in any RV. End the frustration of weak and unreliable cellular signal with the Fusion2Go-RV. It boosts 4G LTE voice, text and data signal for all major North America cell carriers- including AT&T, Verizon, Sprint and T-Mobile. 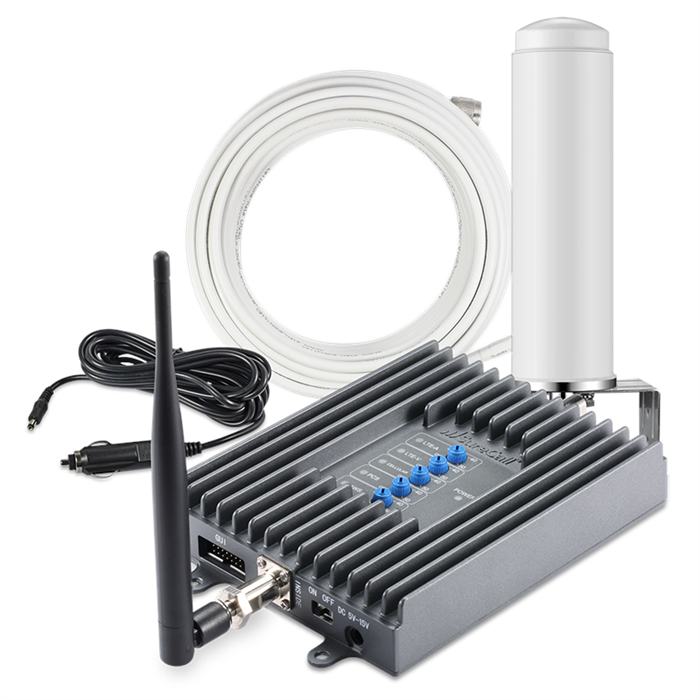 KIT INCLUDES: Fusion2Go-RV cell phone signal booster, Exterior roof-mounted omni antenna, Interior right-angle omni antenna, 40 ft SC-240 coax cable, Standard 12V DC power supply and Standard wall-outlet AC power supply. 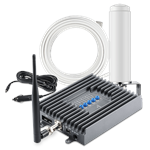 SureCall Fusion2Go mobile signal booster kit for use in car, trucks for voice, text and data on LTE 4G network.